CHARLOTTE WELCOMES EASTER WITH HUNTS AND BRUNCHES | South Charlotte Newcomers! Easter is a beautiful spring celebration in the Queen City! 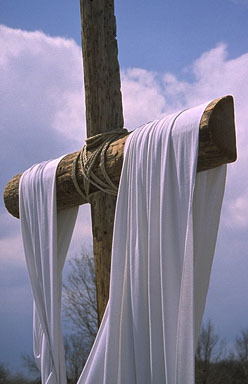 Families and friends are attending church, going to Easter Egg hunts and looking forward to a lovely Easter brunch. Charlotte offers Easter egg hunts and Easter brunches all throughout the city. Whether you are entertaining visitors or enjoying your hometown, Charlotte will satisfy your Easter expectations. Annual Easter egg hunts are being held all about Charlotte! Kids can visit the Easter Bunny at the Matthews Community Center on March 22nd. Easter crafts will be made, with the obligatory Easter Bunny picture being made. Matthews Community Center is located at 100 McDowell St.
Southpark will hold its Great Easter Egg Roll and Hop on March 23rd at 4400 Sharon Road. The great Easter egg roll is for all ages! On March 28th kids can join in the annual Mallard Creek Easter Egg Hunt, at 2530 Johnston-Oehler Road. Egg hunting will begin at 10:00 am. For those swim team members of the family who can’t get enough of the water, Ray’s Splash Planet will have an Underwater Easter Egg Hunt on March 28th. Kids will hunt for eggs in the water. Ray’s is located at 215 N. Sycamore Street. Grandmas and Grandpas can enjoy their grandchildren over the Easter Holiday while creating an Easter basket. The Methodist Home Recreation Center will have a Grandparents-Grandkids Easter Basket Making on March 29th. The home is located at 3200 Shamrock Drive. On March 30th all bunnies can hop over to the Charlotte Easter Egg Hunt at Latta Park, 601 E. Park Avenue. Activities as well as free food will be offered. This is considered the largest Easter egg hunt in Charlotte. Bring a picnic lunch and enjoy the beautiful park! Brunch is an Easter tradition for many Charlotteans and there are many restaurants offering Easter specials to get you out of the kitchen and relaxing with family and friends! Blackthorne Restaurant and Bar will offer an a la carte Easter Brunch menu. Located in the Ballantyne area, Blackthorne has a popular contemporary American cuisine. The salads are a delight to the senses, especially the Blackthorne Pear Pecan salad. Balckthorne is located at 11318 North Community House Road. Ilios Noche Restaurant will satisfy for Greek craving on Easter! Easter specials will be offered. If you prefer a light snack, try one of the pastries and a cup of espresso on the patio. Ilios Noches is located at 11508 Providence Road, in the Ballantyne area. 131 Main in the Blakeney Center will be opening an hour earlier, at 10:00, on Easter. Their delicious brunch menu and a special Easter menu will be offered. The eggs benedict served with light and fluffy crab cakes is a favorite! 131 is located at 9886 Rea Road, as well as in Dilworth and Lake Norman. The Terrace Café at 14815 Ballantyne Village Way will satisfy your Easter hunger with a special brunch menu. The popular S’mores French Toast and Red Velvet Waffles will be joined on the Easter menu with delicious Smoked Salmon Omelet and Cold Water Lobster Benedict. The Easter Brunch will be 8:00 am-2:30 pm. Del Frisco’s Double Eagle Steakhouse is an upscale steakhouse located in the Southpark area, in the popular Piedmont Row. The Easter menu includes a 3-course meal, and a children’s menu. The homemade breads and sauces are an extra, delightful culinary experience added to the wonderful steak and seafood. Red Rocks Café, a Charlotte favorite since 1992, is offering a fun, delicious Easter brunch buffet from 10:30a.m.-3:00p.m. Enjoy choosing a different meal as many times as you can! Red Rocks is located at 4223-8 Providence Road in the Strawberry Hill shopping Center. Charlotte is a city of Easter celebration! 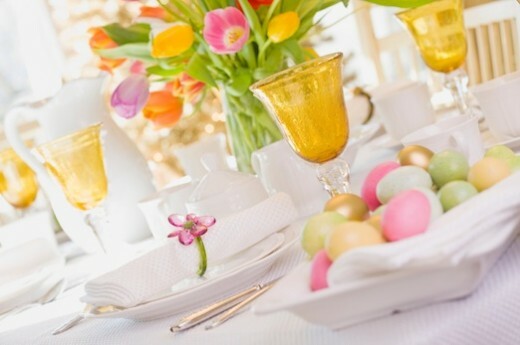 Enjoy the beautiful Queen City Spring by joining in one of the many Easter egg hunts, celebrating in one of the many churches and enjoying a delicious brunch at one of the fine eateries throughout the Charlotte area.